“Starfish” was originally released in 1988 and became The Church’s breakthrough album fueled by the success of the sublime, classic single “Under The Milky Way”. “Starfish” is a fan favorite and a highlight of the late 80s era. The album finds the bands songwriting and performing chops in top form as heard on tracks such as “Destination”, “Reptile”, “Antenna” and “Hotel Womb”. 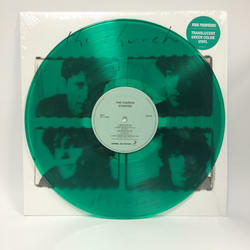 On green translucent vinyl with printed inner sleeve. First time ever released on color vinyl!